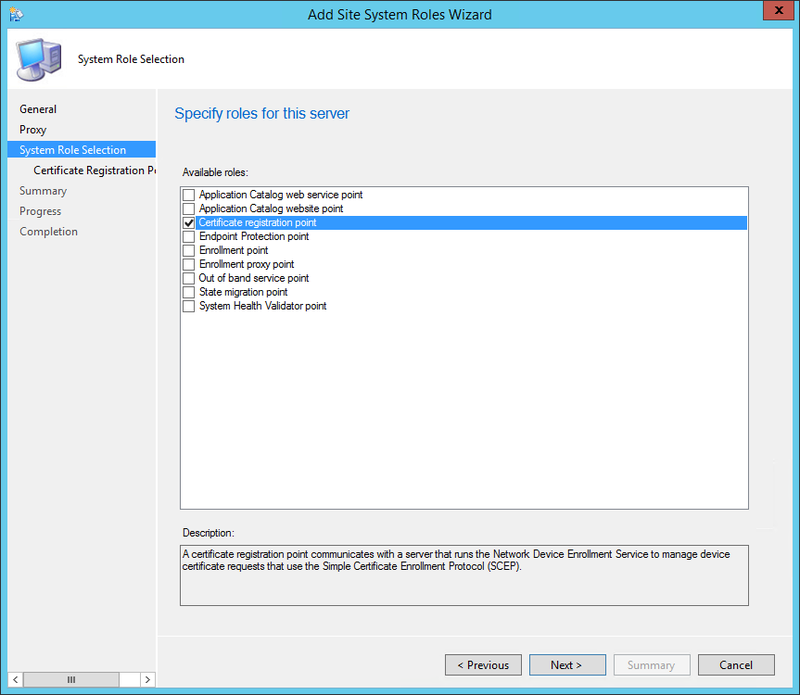 In this part of SCCM 2012 and SCCM 1511 blog series, we will describe how to install SCCM 2012 R2 or SCCM 1511 Certificate Registration Point (CRP). 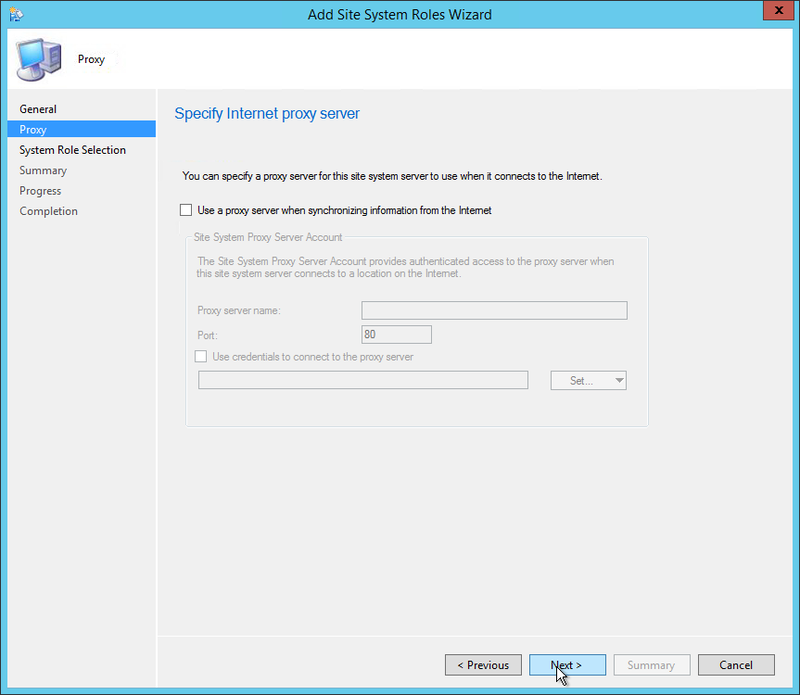 Using SCCM and Intune, the CRP communicates with a server that runs the Network Device Enrollment Service (NDES) to provision device certificate requests. This is not a mandatory Site System but we recommend to install a CRP if you need to provision client certificates to your devices (like VPN or WIFI). If you are installing CRP on a remote machine from the site server, you will need to add the machine account of site server to the local administrators group on the CRP machine. 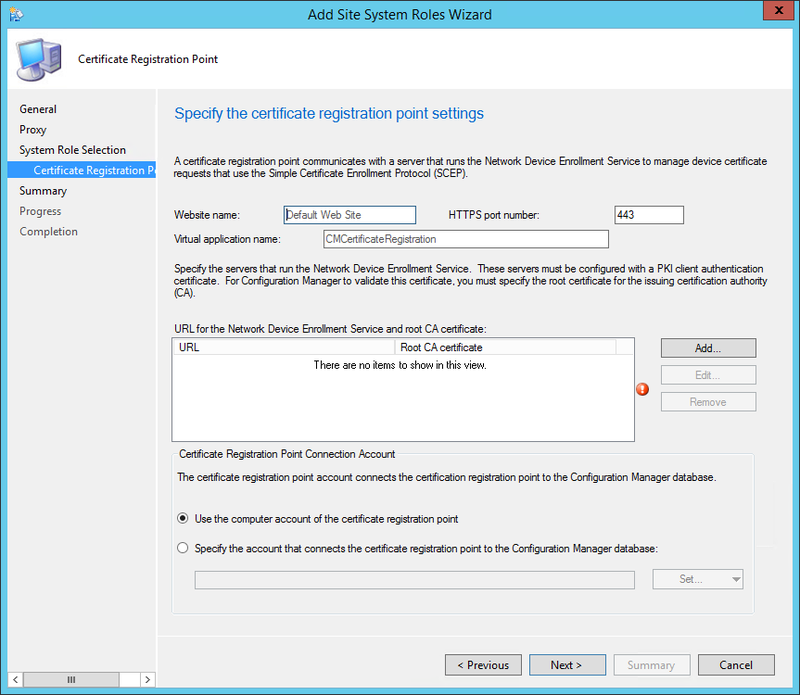 The Certificate Registration Point must not be installed on the same server that runs the Network Device Enrollment Service. It’s supported to install this role on a Central Administration Site, child Primary Site or stand-alone Primary Site but it’s not supported on a Secondary Site. On the Certificate Registration Point Properties, leave the default website name and virtual application name. Take note of your Virtual Application Name, you will need it later. 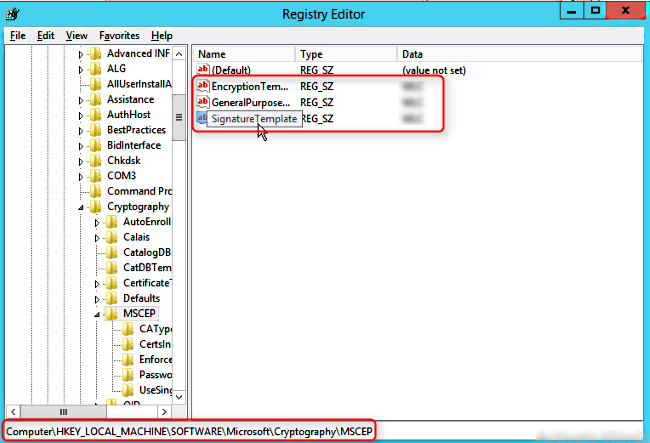 After the CRP is installed, the system will export the certificate that will be used for NDES plugin to the certmgr.box folder. It may take up to 1 hour to appear. Save this .cer file on the NDES server as we will need it in the next section. 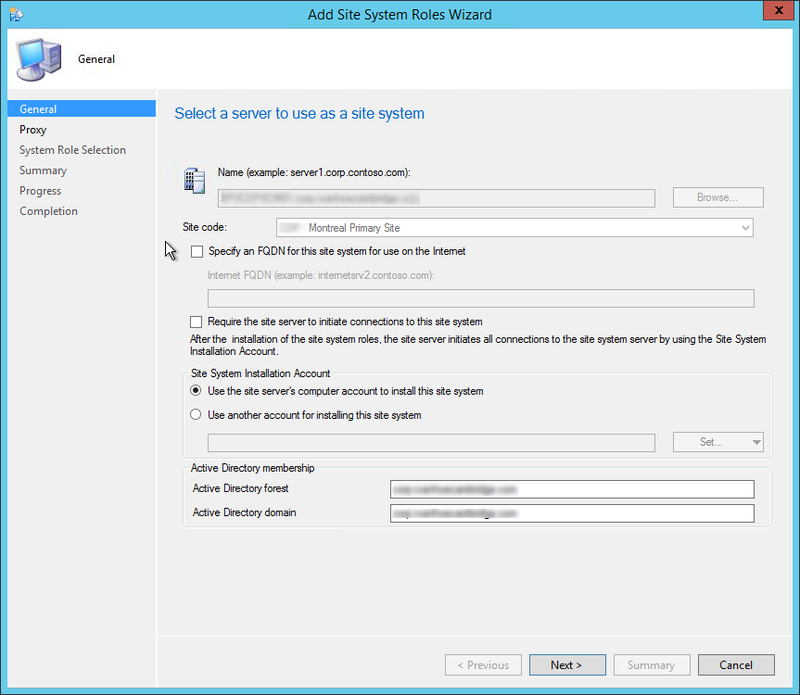 Now that the Certificate Registration Point has been installed, we must install a plug-in on the NDES server to establish the connection with SCCM. 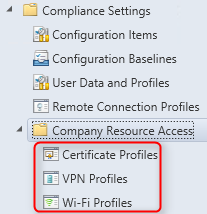 Once all the above has been configured and verified, you are ready to create your certificate profile in SCCM. 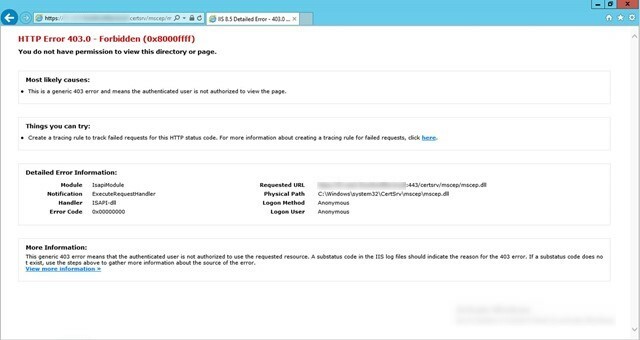 I have configured NDES on our secondary CA server and can access the website described in the documentation. When I add the CRP Role in SCCM R2, the log shows the CRP’s previous status was 1, Health Check request failed, status code is 403, Forbidden. Loading the CMCertificateRegistration webpage returns Error Code 403.7.